DETROIT — Voters in Michigan and North Dakota will decide Tuesday whether to legalize recreational marijuana, which would make them the first states in the Midwest to do so and would put conservative neighboring states on notice. 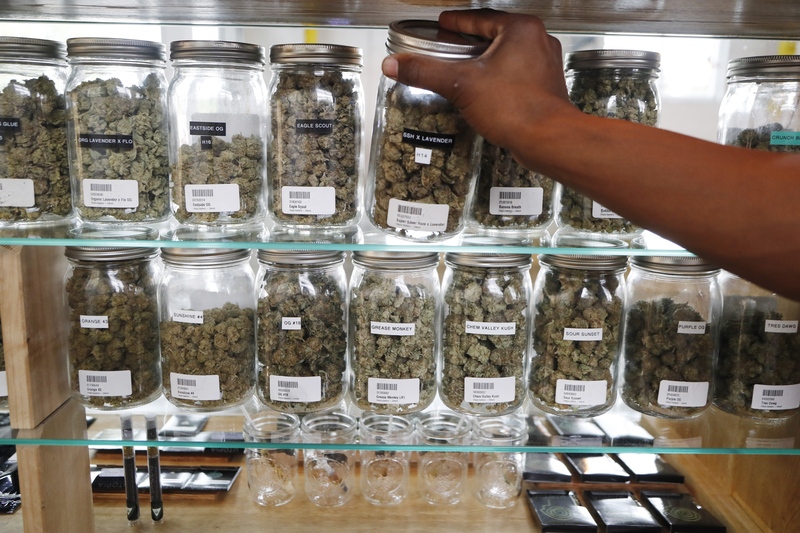 More than half the states have already legalized medical marijuana, and Utah and Missouri could join their ranks Tuesday. Nine states and the District of Columbia have legalized recreational pot for people age 21 or older. And Canada , which shares a border with Michigan and North Dakota, recently made it legal for adults to use the drug. But passage of the measures in either state, which both have Republican governors and Republican-controlled legislatures, would give it a foothold in Middle America and could cause tension along their state borders.